I can’t think of a better time to share this video once more, just before one of the biggest games in our recent history, if not THE history of the club. To not now get back up to the Premiership could see us in the Championship for a long while. Bruce has stopped a sinking ship, turned it round slowly – now can he get it fully back on course? We wait to find out. 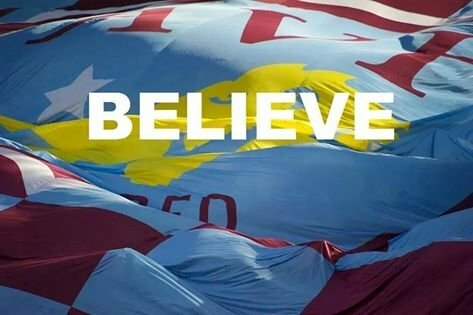 It will be an epic at Wembley on Saturday and I have faith our team will do it for Bruce, do it for themselves, do it for the club and more importantly, deliver for the undying breed of claret and blue, us fans. The wonderful actor and gentleman, David Bradley on Aston Villa. Footballers are like actors, they perform on the theatrical stage, thriving to delight their audience. The drama, the anticipation, the emotion, the passion and the teamwork. It’s a spellbinding combination. So much genius has graced our theatre over the years. They say you don’t choose Aston Villa, it chooses you. The lows just make the highs higher. We are at the heart of English football. We have a majestic name, a decorated past, we serve as a shining light amongst our peers. We are Aston Villa. And here’s to the next 140 years.